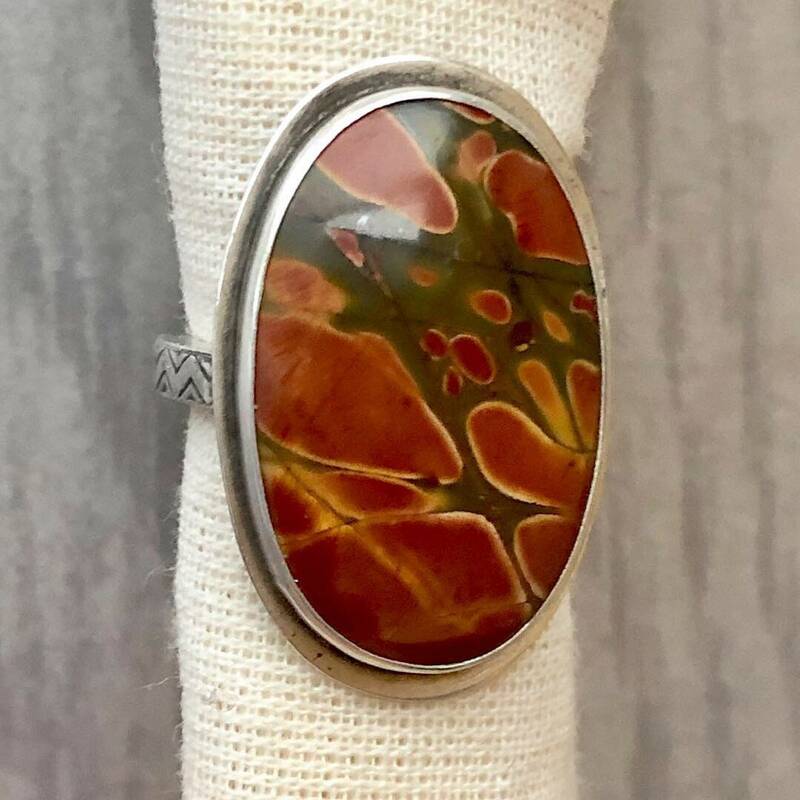 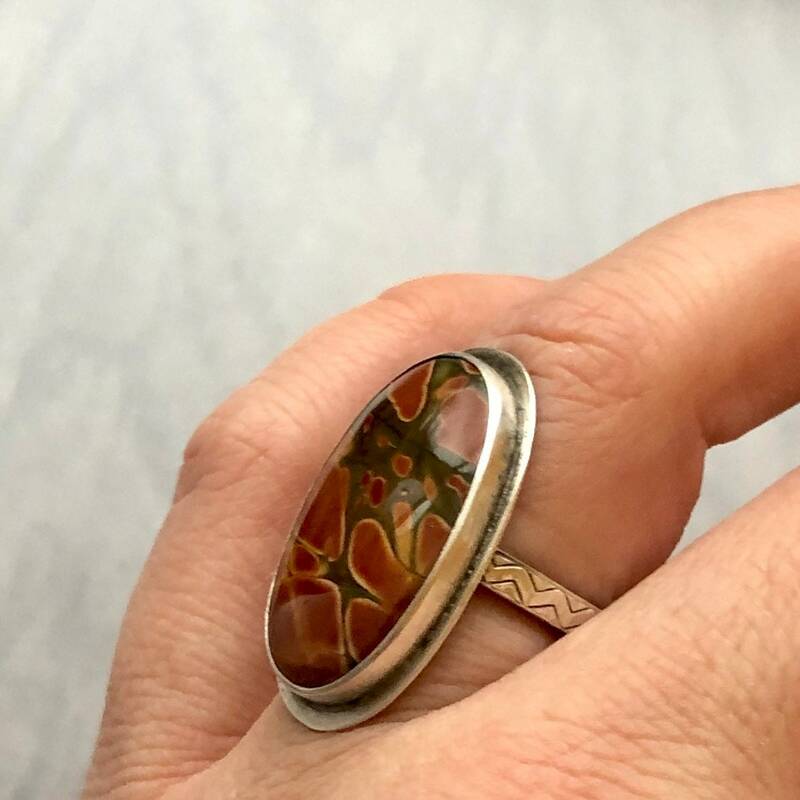 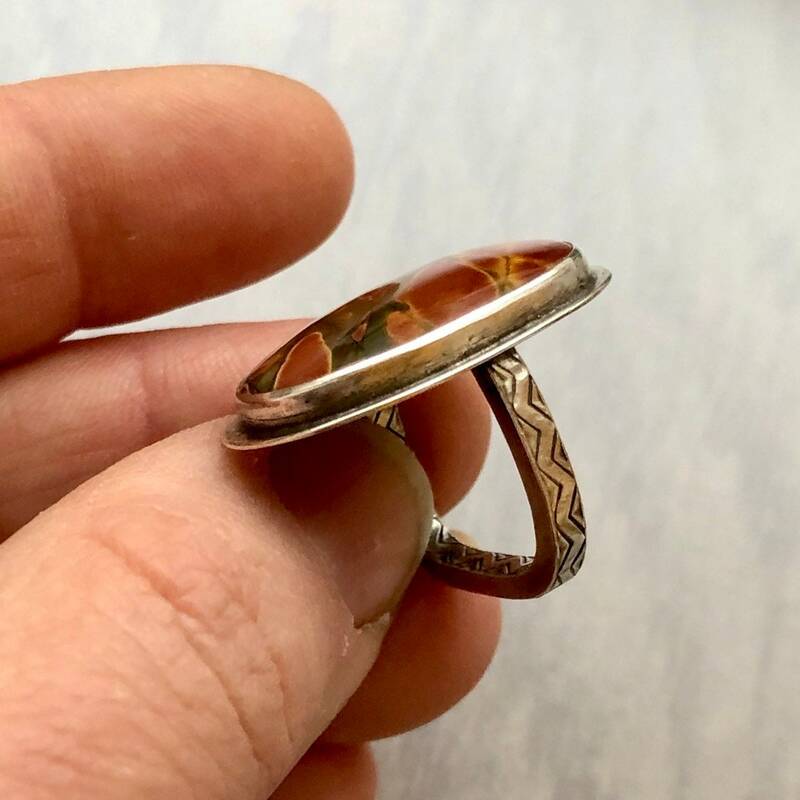 A big oval Red Creek jasper with green, red, and hints of yellow sits on a gently squared band, made of square wire with a zigzag pattern. 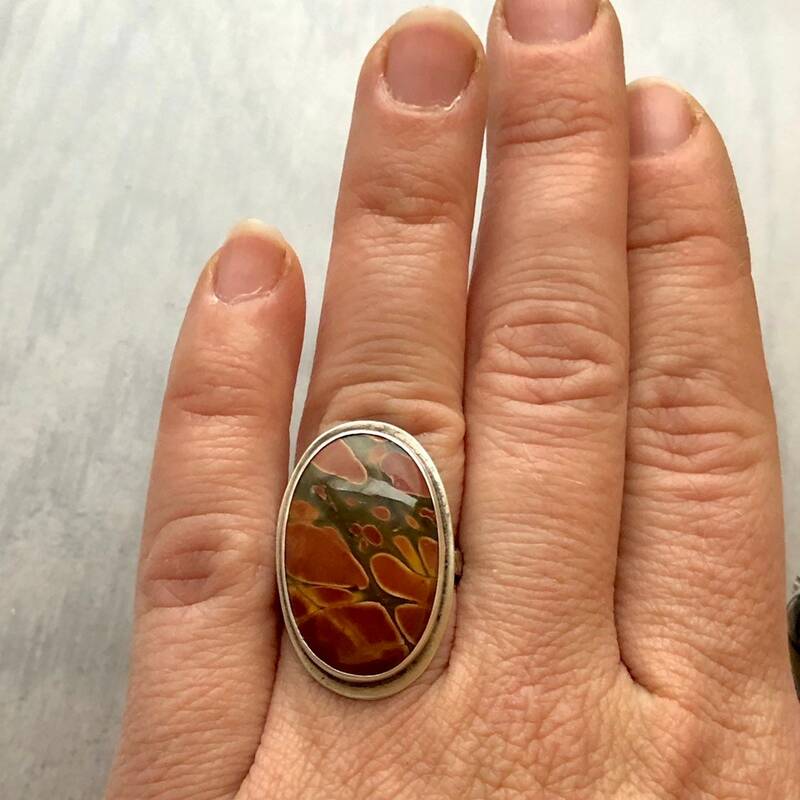 The shape of the band is surprisingly comfortable and ergonomic. 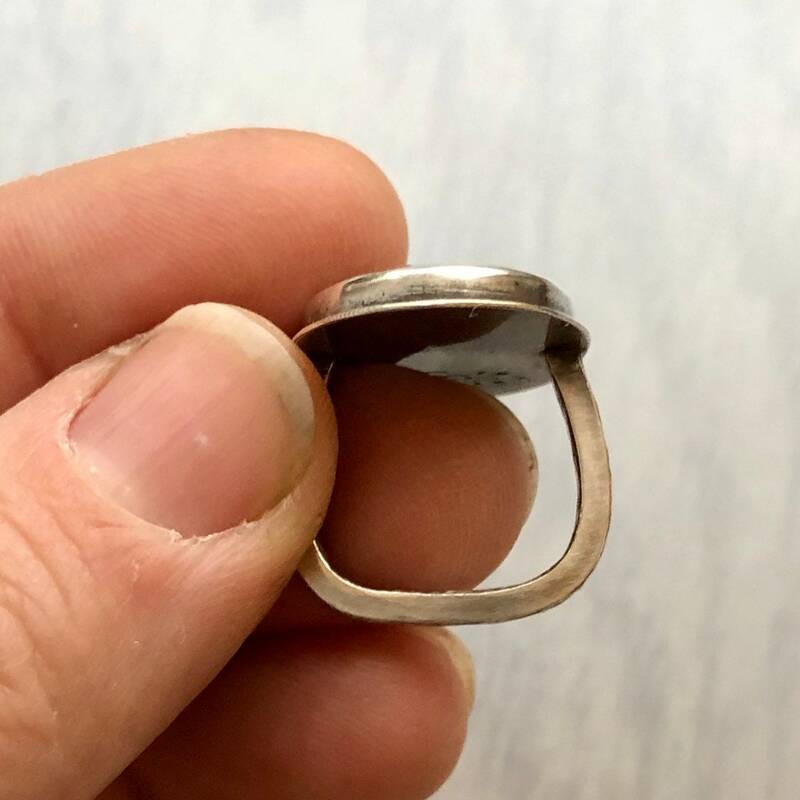 • This ring fits like a size 5.25. 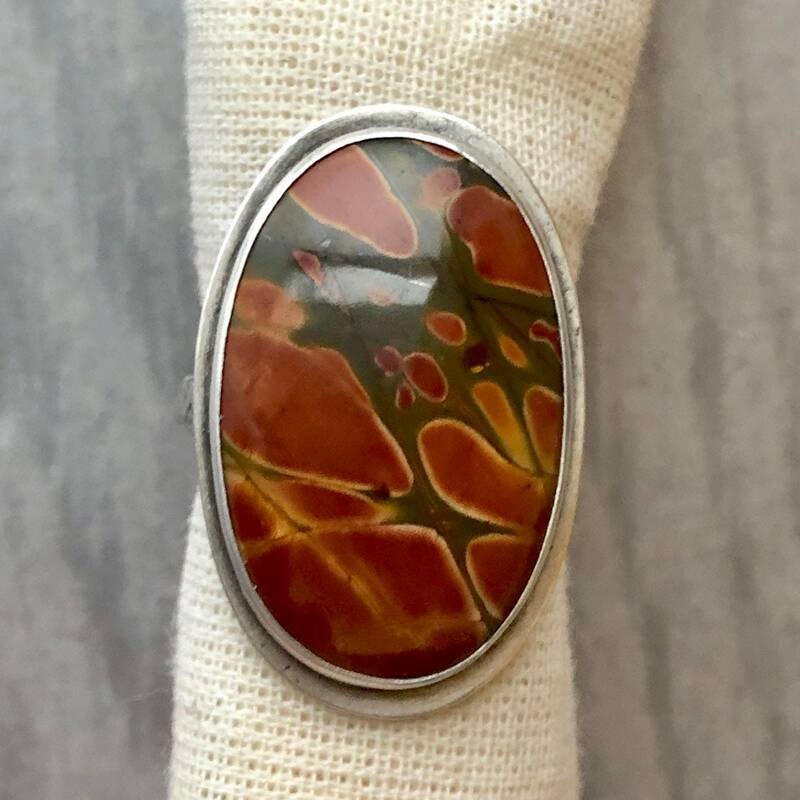 • The Red Creek jasper is approximately 25mm x 16mm.